America is an amazing ship. In order to sail properly the ship must right itself. In the case of racist attention-seeking Baltimore State’s Atty Marilyn Mosby, her ship may have sailed. Who can forget the utter excitement whereby Marilyn Mosby announced the indictment of six police officers in the Freddie Gray case. She was downright giddy. Like her cohort in frontier “jump to conclusions” justice, Mayor Stephanie Rawlings-Blake, Mosby thought she had hit the race-pimping lotto. Neither official had to look far to see what race-pimping could get you. Deray McKesson became a national figure, and his reputation grew on the lie that is Black Lives Matter. The same was true of race fraud Shawn King. McKesson met with Democratic presidential candidate Hillary Clinton, and it was Clinton who kissed the ring. Why let these men ride the gravy train, when there appeared to be plenty of room for a few women? There wasn’t; at least not for Rawlings-Blake, who leaves Baltimore as a disgraced Mayor; nor was it a career booster for Mosby. Baltimore State’s Atty. Marilyn J. Mosby instantly became a controversial figure across America — lauded as a hero by the left and decried as a demagogue by the right — when she brought charges against six police officers in the arrest and death of Freddie Gray. More than a year later, her repute is even more debatable. With two officers acquitted and a third now on trial, Mosby’s critics are calling for her to resign and to drop the charges against all of the officers. Detractors say she has demoralized the Police Department and emboldened criminals, and speculation has begun about who would challenge her re-election in two years. 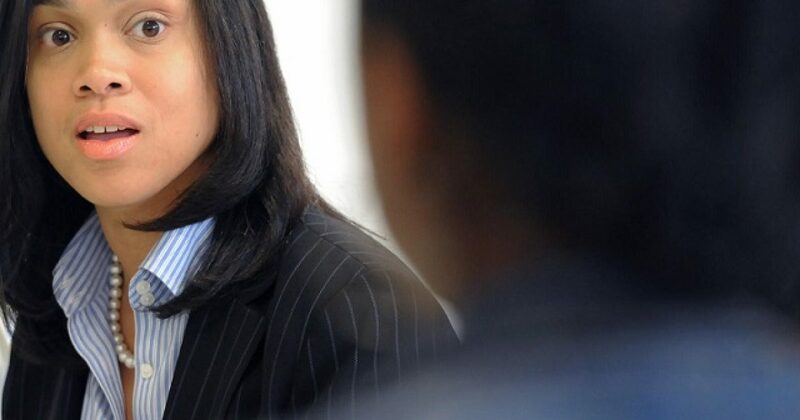 What Marilyn Mosby should have done is…her job. Instead of playing to the racist public, a public frothing for fresh meat, Mosby should have been deliberate. Instead of appearing to be an unbiased officer of the court, Mosby seems more like a buffoon. I don’t wish anybody ill will. But Mosby likely didn’t consider the impact on the lives of good police. Nor did she consider the far-reaching impact of being against law and order.